MSDP"TECH": What is Android One? Now a days we are hearing the word called "Android One". Most Importantly, Google Company has tie-up with India's mobile manufacturing companies like Micromax, Spice, Karbonn, which they have already released Android One mobiles in the market. 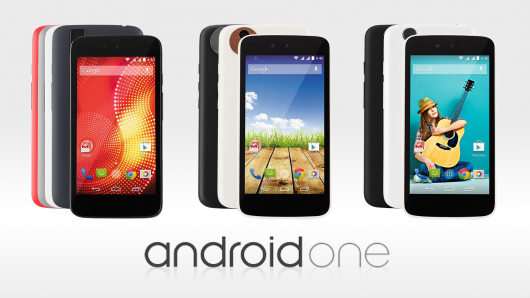 Yet, most of the people curious to know what exactly the "Android One" is? Highly Quality Mobiles, at Low Price? To Increase the Android mobile users all over World, Google have contracted with some Local Mobile manufacturing companies and released Android One mobiles. This means to release High Configuration Mobiles at very Low prices. So, users get low cost smartphones through Android One. How it is Different From other Phones? If we Compare the Android Phones from the International Manufacturers like Samsung & Sony, They are running Android operating system background. However, these companies are using the launchers with different special user interfaces, making some changes to the original Android operating system and adding new features by removing existing one. They are making these changes with companies like TouchWiz, to provide a better experience for their valuable long term customers. But, the Android One mobiles Comes with Original Android Operating system which is released by Google and no any changes have made in this system. Unlike the Companies like Samsung and Sony which they add unnecessary apps in their mobiles where as the Android One didn't have such apps. So, the user can choose and download the necessary apps. For other Android mobiles their companies will choose their own Hardware and Software. For Android One mobiles Google Company only will choose the Hardware and Software. How to install whatsapp on Nokia asha 206 ? How to Disable Application Switcher in Windows 8, 8.1.